Looking for a postpaid plan, but not ready to commit to a two-year contract? 12-month phone plans have become hot alternative to the standard 24-month deal, meaning that it’s a competitive marketplace and a consumer’s playground. With enough options and variances to suit everyone’s needs and wants, finding a plan is the easy part. Who offers 12 month phone plans? Vodafone offers a diverse variety of 12-month plans, with plenty of international extras and generous data inclusions. Starting at $35 per month, Vodafone’s 12-month SIM-only plans include unlimited talk and text in Australia, as well with 1000 to 3000 international call minutes to eligible countries each month on eligible plans. Vodafone is big on bonus inclusions, including Qantas Points, which no doubt will come in handy for those frequent flyers. The telco also frequently offers bonus data and plan discounts, so keep any eye for limited-time promotions and deals. Vodafone also allows you to bundle phone plans with other eligible plans under the one account, allowing families to bundle their services and save on monthly plan fees. 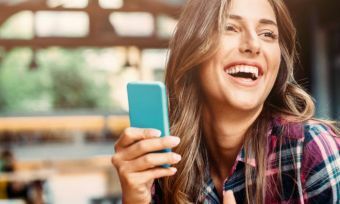 Although Telstra offers a range of prepaid and 24-month postpaid plans, however its 12-month options have been streamlined to just three plans. All three are SIM-only, so you’ll need to bring your own device, but offer unlimited national talk and text, plus hefty amounts of data – up to 90GB per month. Plans start at $49 for 30GB (15GB, plus 15GB of bonus data) and go up to $89 for 90GB (60GB + 30GB bonus data), so, as expected from Telstra, they’re not the cheapest on the market. However, you do gets lots of extras, including data-free Apple Music streaming, sports streaming (AFL, NRL, A League and Australian netball) and free Telstra Air WiFi. Both the $69 and $89 plans also include unlimited calls and text to 15 countries, and the $89 plan also features 2GB of international roaming data each month. Like Telstra, Optus offers 12-month plans on a bring-your-own-phone basis. There are three plans to choose from, starting at $30 with 3GB of data, the $40 offering jumps up to 40GB of data and 400 minutes for international calls to 35 countries, and going up to $50 will get you a generous 80GB of data plus unlimited international calls and texts to 35 countries. In addition to unlimited standard national talk and text, customers can also enjoy a range of data-free extras including the use of Optus Sport, National Geographic and music streaming services Spotify, Google Play Music and iHeartRadio. Customers can also add data-free TV streaming for $5 per month, which includes data-free streaming of Stan and Netflix along with the ABC’s various video streaming apps. Moose Mobile is an MVNO on the Optus network, and offers competitive plans on both a month-to-month and 12-month basis. If you sign up for a 12-month Moose plan, expect to get more data for your dollars: for example, 15GB is priced at $29 on a year-long contract and $25 on a month-to-month basis. All of Moose Mobile’s 12-month SIM-only plans include unlimited standard national and international SMS and MMS, unlimited standard national calls and data for use in Australia. Moose’s $33, $40 and $50 options also feature $400 of international call credit each month. Southern Phone offers an impressively affordable range of 12-month phone plans, all of which provide coverage on Optus’ 4G Plus network. The entry-level plan offers 1GB of data, as well as unlimited standard national talk and text. On the opposite end of the spectrum, expect to pay $50 per month for Southern Phone’s priciest 12-month plan, which includes 23GB of data plus unlimited standard national calls and text. All of Southern Phone’s 12-month plans are SIM-only, so you’ll need to bring your own phone. However, if you’re looking for a simple, data-packed plan that covers the basics (and that doesn’t come with sky-high bills), these one-year options offer great value. Although Southern Phone does include plans on the Telstra network (known as the Orange plans), these plans are only available as month-to-month plans. Operating on parts of the Telstra network, TeleChoice’s 12-month plans are all offered on a SIM-only basis, and feature unlimited talk and text within Australia. Although no lock-in and 24-month plans are available (plus the option to ‘prepay’ upfront for seven or 13 months of service), TeleChoice’s 12-month plan options provide a happy medium; you’ll get great value data inclusions, and all plans feature unlimited international SMS. Plans start at $16 per month for 2GB (plus 2GB bonus data) and go up to $40 for 18GB per month (including 12GB of bonus data). International call packs are also available to add on from $5 per month. If you prefer avoiding the chance of bill shock by sticking to prepaid plan, there are 12-month options available (usually billed as a ‘365-day’ plan). Some of these will feature monthly data that resets every 30 days, or a lump sum of gigabytes for your entire 365 days; if you do receive all your data upfront, you’ll need to be careful not to use it up too soon. If you’re happy to commit to a full year, Catch Connect’s 365-day plans have you covered, with plans starting at $199 for 42GB of yearly data. All plans include unlimited talk and text in Australia, with the top-tier $410 plan also throwing in 500 minutes of international calls to 32 countries. All Catch Connect plans are powered by Optus’ 4G network and are offered on a SIM-only basis. You can also get pretty serious data inclusions on these deals: for example, the $410 plan includes 375GB, which works out at about 31GB per month with a monthly cost of under $35. Kogan Mobile Small Plan: $179.90 for 365 days (around $14.75 every 30 days). Includes 3GB of data every 30 days, plus unlimited standard national calls & SMS. Kogan Mobile Medium Plan: $299.90 for 365 days (around $24.50 every 30 days). Includes 13GB of data every 30 days, plus unlimited standard national calls & SMS. Kogan Mobile Large Plan: $399.90 for 365 days (around $33.80 every 30 days) . Includes 20GB of data every 30 days, plus unlimited standard national calls & SMS. Kogan Mobile Extra Large Plan: $529.90 for 365 days (around $43.50 every 30 days). Includes 40GB of data every 30 days, plus unlimited standard national calls & SMS. The supermarket brands are also on board with 365-day prepaid plans, and both ALDI Mobile and Coles Mobile sell year-long prepaid packs. Coles Mobile’s $180 prepaid plan features a 365-day expiry, and includes unlimited standard national calls and texts, plus 36GB of data to use over 12 months. You’ll need to ration this data out over your 365-day plan length (it breaks down to 3GB each month), or simply add extra data as needed: $5 will get you 500MB while the online-only $15 data pack gets you an extra 3GB. ALDI Mobile’s Pay As You Go SIM plan also features a 365-day expiry, and comes pre-loaded with $5 of call, text and data credit. Talk, text, and data is all taken from your plan’s credit on a per-use basis, but credit can be added to your plan at any time, in $15 or $30 increments. ALDI Mobile’s PAYG rates are $0.12 per minute for standard calls, $0.12 per SMS, $0.35 per MMS, and $0.05 per megabyte of data (which works out to be about $51.20 per GB). Should I get a 12 month phone plan? Phone plans are a bit of a commitment, so be sure to find a plan that best suits your style – and your budget. The big telcos may be better if you’re looking for a standard plan, but smaller telcos may surprise you with how much value for money they can provide. It’s always a good idea to shop around, as the savings over 12 months can be worth the effort. However, keep in mind that 12-month phone plans come with a contract, so you can’t dodge the monthly payments. If you’re on a tight budget and prefer the option of not using your phone from one month to the next, a good prepaid deal might be your best bet. But if you’re confident that you can make the monthly payments each time, telcos will often reward you for your 12-month loyalty.